Our vision at Codeship is to build for the builders. We want to enable software engineers, designers, and everybody who wants to craft great software. This vision hasn’t changed over our six years in operation, but the tooling and ecosystem have evolved tremendously. When we first set out to build our product, we focused on a very narrow use case: we let Rails developers test their code that was stored on GitHub. While we continue to serve these customers, our user base (and thus product offerings) have greatly expanded. Today, we are proud to have customers around the world, support various technologies, offer a dedicated Docker product, and have moved far beyond our initial focus. One of the keys to our success at Codeship has been, focus. There are many different directions we can take our product, and when faced with a decision on what to develop next, we focus on our original vision- building for the builders. We think that developers should be able to choose what tools they want to use. Recently, GitLab has become one of the most requested integrations, and over the past months, more and more developers wanted to see Codeship offer GitLab support. You asked, and we listened. Today, I’m very happy to announce that we’re officially launching our GitLab integration! Our users can now connect their GitLab repos to a Codeship account and start developing better code, faster. At Codeship, we believe in the process of Continuous Integration and Continuous Deployment. Integrating with GitLab now allows even more developers to successfully use Codeship. 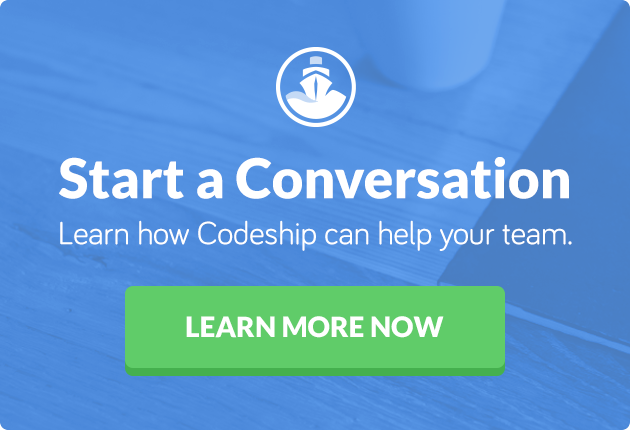 The same holds true for application hosting – Codeship works well with everybody. We started out with support for Heroku, but now you can deploy to Amazon, Azure, Docker Cloud, Google Cloud or any other Infrastructure as a Service provider. Codeship is focused on running your tests fast, reliantly, and in a secure manner without worrying about maintaining and scaling your CI environment. Of course, GitLab support is available on our Docker and non-Docker product and you get all the features you’re familiar with from using Codeship’s Bitbucket or GitHub integration. This means we post the build status into your merge or pull request as well as for every single commit. If you want to learn more about our integration feel free to check it out at https://codeship.com/gitlab. I’d also like to invite you to join our upcoming webinar where we will sit down together with the GitLab team to talk about the Codeship/GitLab integration and to show you how to get started. Sign up for the webinar here.